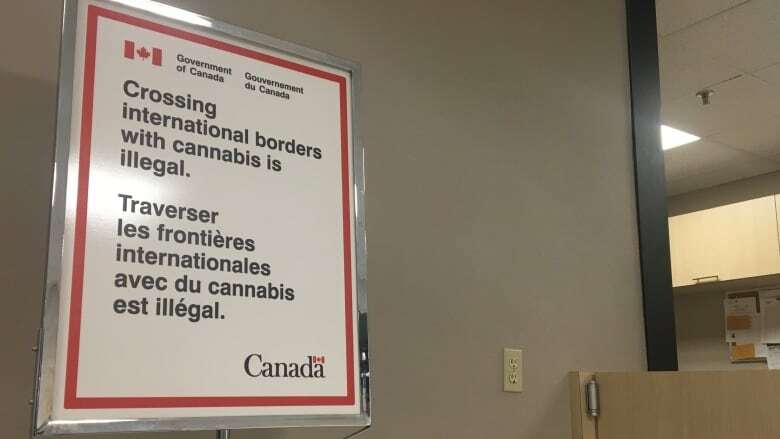 The Charlottetown Airport has put up new signs to inform Islanders about travelling with pot. Starting later this week, airline passengers will be able to take up to 30 grams of cannabis on flights within the country. But it won't be allowed on international flights. Doug Newson, the CEO of the Charlottetown Airport Authority, says the rules will apply even for countries, or parts of the U.S., where marijuana is legal. "As far as the government of Canada is concerned, with air travel, you are not allowed to carry it to any country outside of Canada," Newson said. If someone is carrying more than 30 grams, airport security would call Charlottetown police to deal with it, Newson said. As for liquid forms of cannabis, Newson said passengers will have to follow the same rules as any other liquids. That means for carry-on baggage, liquid cannabis must be in containers of 100 millilitres or less, and placed in a clear, closed, resealable bag. Newson said passengers will not be asked to declare if they have marijuana with them. Recreational marijuana becomes legal in Canada on Wednesday.